Oh my goodness – where did the last week go? I got the alphabet quilt top finished. I don’t have a picture of the completed top, but here is a picture just before the rows were sewn together. There are six rows – the last one was camera shy. 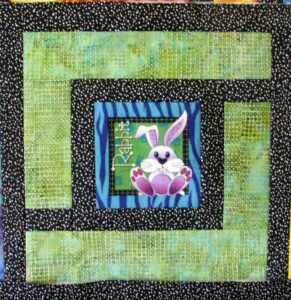 This is my favorite block – what a cute bunny. You really can’t tell from the picture, but the center part of the block is actually flannel. 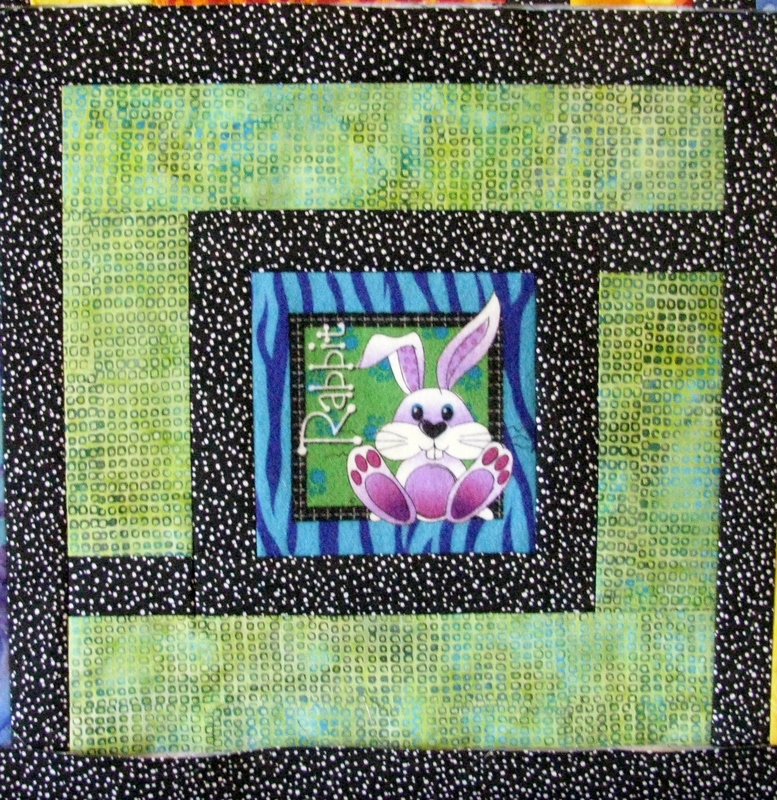 The black sashing is quilting cotton and the outer block border is batik. I have no problem mix and matching to get the effect that I want. 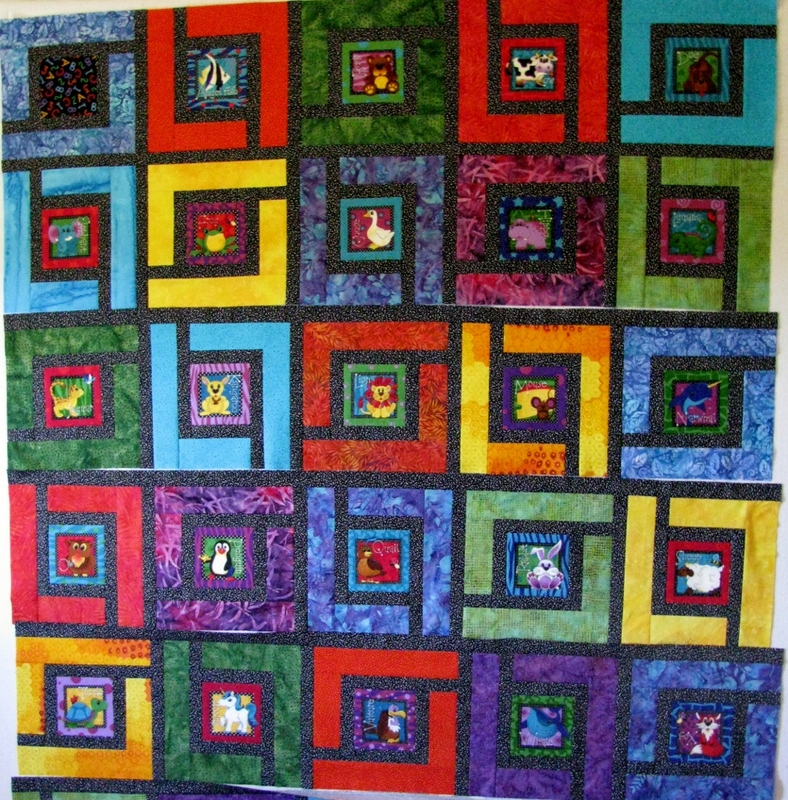 The quilt is 59 1/2″ x 70 1/2′ – a nice lap size quilt. 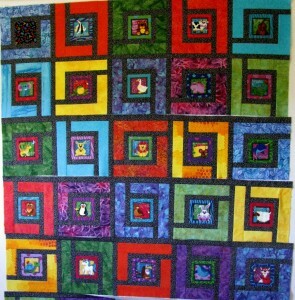 I am planning on quilting a meander with rainbow variegated thread.